Well, if your neighborhood is Somerville, MA. Months ago–I don’t know how many months ago, but it’s been some months–I made an offer to donate my books to libraries and to give free copies of my books to indie bookstores so that they could try them out without risk. I don’t know if it’s just because I haven’t gone out of my way to publicize this, but there’s been very little interest in the program so far. I’m not independently wealthy, so I didn’t want to get in over my head and didn’t shout it from the rooftops, but I did expect some interest and more word-of-mouth than what I’ve seen. Not bitching, really, just reporting as it’s interesting to me and maybe interesting to my indie author friends (that I can’t even give books away, LOL). Anyways, Massachusetts is the place to be for the Talent Chronicles in paperback. I sent books to the Somerset Public Library back in February. This week I had the pleasure of correspondence with Gil Barbosa, owner of family-run independent THE BOOK SHOP, in Somerville. Gil told me that he was putting my books in his window display, so if you happen by, feel free to snap a picture for me. I’m in the mood for some fantasy. Doesn’t happen often, but sometimes that’s what I really want to read. But it’s hard to find something I like because a) there has to be some romance, and b) I’m not super-familiar with the genre. So I thought I’d tell you guys about some books I’ve loved that are still sitting on my favs shelf and maybe those of you who are more familiar could give me some ideas. I don’t even know that I want to contemplate how long ago it was that I read “The Keltiad” series. In the books, a group of people from Earth (Ireland), were able to travel through space at an insanely early point in history (by magical religious science, I guess). On the planet of Keltia and it’s surrounding planetary bodies, they established a whole new Keltic civilization. Now, well into the future, a small group of Earth explorers happens upon this hidden civilization out in space. To make things interesting, they show up at the beginnings of what will become a big political drama and war. 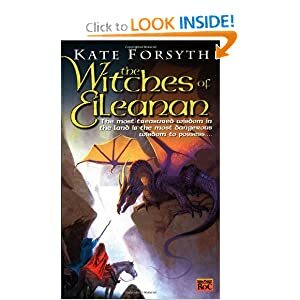 While there was a bit of romance that pulled me through the books, the strength of these is the amazingly detailed world-building and the development of the main character, Aeron, who is the slightly reluctant though duty-bound Queen of Keltia. 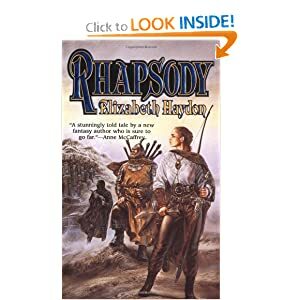 Rhapsody, Prophecy, and Destiny also blew my mind. And the romance in this one was very important in the story. Well, at least to me it was. I could not stop reading these books until the relationship was resolved. And it was AMAZING!!! Basically, character from different times and places who never should have met–do, which changes both their lives. By the time they struggle back to being in the same time and place, they’re so completely altered that they don’t even recognize each other. And then you have to go on reading it, knowing it, and waiting for the moment when they figure it out and all is revealed. ARG! It was awesome reading. Aside from that, the imagination in this thing! Incredible world-building and description, totally interesting characters, some of whom were incredibly alien and yet very, very real. The Witches of Eileanan series could be a little uneven in that it didn’t always follow the same characters. It started with one girl, then broke from her to mainly follow another, and then at once point diverged from both of them and a whole book followed a more minor character. But that’s okay, because it was kind of awesome. If I remember right, witchcraft was outlawed and being a witch was a crime, which was unfortunate because having magic wasn’t a choice. So there was a whole not so secret secret police running around hunting witches, a resistance, all that good stuff. Lots of remarkably heroic yet flawed characters facing all kind of adversity such that I was practically bouncing up and down rooting for them and couldn’t stop reading these, one after another. One girl definitely had a better love life than the other, and those relationships didn’t drive the plot. But the characters were incredible. The world-building (see a theme in what I like?)! The surprises in the world were a constant source of delight for me. Maybe that’s partly because I don’t read a lot in this genre. Maybe I’m easily impressed. But I thought these books were brilliant. 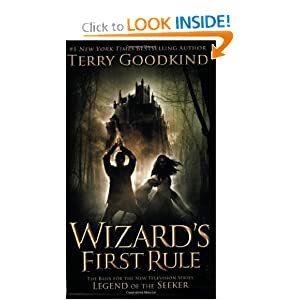 Wizard’s First Rule is the first of the Sword of Truth series on which the television series Legend of the Seeker is, somewhat loosely IMO, based. Character development here was amazing (I know, I am repetitive and have a limited vocabulary). Richard Cypher will always be one of my favorite characters. In fact, I couldn’t finish the third book or go farther in the series because I just plain couldn’t stand all the torture of poor Richard! Terry Goodkind really knows how to torment a protag. The romance in this is awesome if you’re totally drawn in by the seemingly impossible relationship. Which I am. And this being fantasy, of course I couldn’t tell how or even if it could possibly work out for these guys. Definitely part of what kept me turning pages. But it’s also that Richard, just a simple, good guy who was just minding his business with no idea he had a destiny, got on board with the world-saving and always chose the right thing even though it was pretty much always the really had thing. AGAIN, featuring stupendous world-building in addition to the awesome characterization. 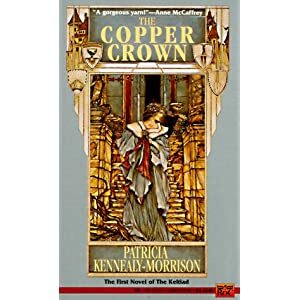 Maybe it’s the fantastic worlds that make these books stand out in my memory when so many romantic suspense novels just run together in my head. Okay, so those are some examples of things I’ve loved that I’m in the mood for more of. Anyone have any ideas for me? Those of you who spend any time here with me know that author Kait Nolan is my critique partner of several years as well as my best friend. In case there are any of you who don’t follow her directly, and just because the occasion requires some extra back-patting and documentation, I’m here to tell you that Kait’s YA novel, RED, is a DABWAHA (Dear Author Bitchery Writing Award for Hella Authors) finalist. Based on a tournament structure used in sports, the mechanics of this book tournament are somewhat over my head, so if you’re not familiar, do read more at the website. 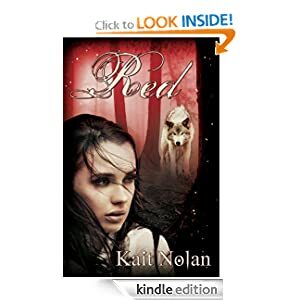 If you loved RED, I hope you’ll consider supporting Kait in the tournament. And, if you haven’t, this would be an excellent time to find out what makes this book so special. Congrats, Kait, and good luck! 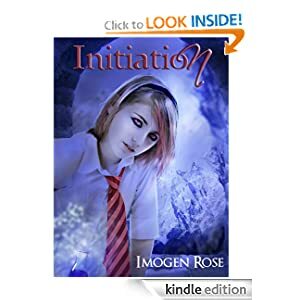 I don’t have a mashup post ready for this week, but if you’re looking for some reading, I’m happy to tell you that Imogen Rose, author of the Portal Chronicles, has just released INITIATION. Look for Imogen Rose and her other books, too. I know some of you don’t want to think about Christmas shopping yet. You love the thrill of waiting until the last minute when everything’s picked over, you STILL haven’t been inspired, and you get to take the financial hit in one powerful punch. Hey, whatever gets you through the holiday season. I’m one of those people who starts at least thinking about shopping in the fall. My goal is to be finished before Black Friday–by December 1st at the very latest. When I wait, gift giving becomes a lot more about checking off names/obligations on a list. Blech. So you’re getting this post now while shopping, for me, is still about thoughtful giving. What do you do when they’re not into dolls anymore, you don’t know what clothes to buy, you’re not sure makeup sets are the thing, and Justin Bieber fangirl paraphernalia? No, you’re not going there. I recently went to the school’s Scholastic Book Fair and found this: Coke or Pepsi? Girl! Diary. There’s a whole line of Coke or Pepsi? books. They’re filled with questionnaires you can ask your friends. I was drawn to them because my daughter is so fond on asking impertinent personal questions of friends and total strangers. The books seem like they’d be a lot of fun for kids to share with their friends, and for getting to know you activities for groups of kids like scouts or church youth groups. The Girl! 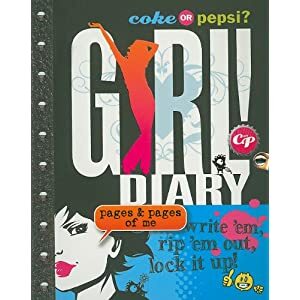 Diary has a lock on it, giving it instant “real diary” appeal. But instead of the blank pages that my daughter doesn’t seem to know what to do with yet, this book is filled with questionnaires and activities. One page reads “Make Today Alternate Universe Day” and has suggestions for things you can do differently from the way you usually do them, like wear something you wouldn’t normally wear, talk to someone you’ve never talked to, etc. Then there’s a page to write about what you did differently and what happened. Another page reads “Do Not Label Me: Check out all the labels on your outfit. Draw them here (or photocopy, cut them out, and tape them down. )” And interesting exercise in showing how much product advertising we’re doing for free. “U as a scientific study. Chart you moods 4 one week.” And there’s a chart. The book is filled with interesting graphics and artwork. In a way, it could be sort of a primer for How To Make An Awesome Journal. Or it could just be some fun time that gets kids reading and writing on their own. The book is intended for 8+. It is, admittedly, a bit beyond my 7yo. But that didn’t stop her from really having fun with it and wanting some time with me to curl up and share the girly secrets contained within its pages. It’s obvious that a lot of thought went into putting this book together and it inspires a lot of thought in return. Have a boy who might be interested in a bit of self-examination? 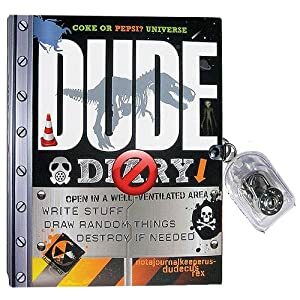 Never fear, there is a Dude Diary and Dude Diary 2 as well. One of the boys in the class was excited to tell me he was getting the boys’ version of the book. Even though I’ve been taken to the cleaners by the Book Fair (again), I’m seriously thinking about going back and buying more of these as Christmas gifts. While my daughter was happy to get the books she chose, this one she didn’t notice and I plucked off the shelf on the sly was the one she spent the afternoon reading and scribbling in. If you’ve got hard-to-buy-for kids on your list, pick this up and get that shopping chore out of the way. Today’s guest post was sent to me by Madeline Claire Franklin. If you’re looking for something different and unique, it sounds like this one just might fit the bill. The witch who made the patchwork girl died before she could give her creation a name. Stitched together from the remains of the villagers’ dead children—whose memories still live in her flesh—and held together by a ring made of moonbeams, the patchwork girl is a spell as yet unfinished. She can never be what her parents wanted her to be: a replacement for the children they’ve lost. So when the poppet grows up, and grows tired of being a disappointment, she decides to embark upon a journey through the Everwood Forest in search of her real name. In the forest she meets the recently-made wereman Faolin, trapped in the form of a wolf except during the full moon, and running from the beasts who killed his father. Together they face the dangers of the forest, forming an unlikely bond as their paths wind together: Faolin running from his destiny—the patchwork girl in search of her own—both of them bound by moonlight. But Faolin, afraid of the beast he has become, has known all along what he must do in order to lift the curse and return to his former life. In fact, it is the very reason he sought out the patchwork girl to begin with—and now the only reason he is willing to leave her side: to save her from himself. The Poppet and the Lune is a novel somewhere along the lines of Grimm’s Fairy Tales-meets-The Labyrinth: a darkly magical feast for the reader who craves stories with a rich heart, and even richer guts. But it’s not all dark–packed with adventure, magic, and romance, this is a fairy tale meant to enchant and entertain, and maybe even help us face our own monsters and mysteries. If you’ve ever struggled to love the skin your in, this book was written for you. If you’re interested in reading an excerpt or reviews of The Poppet and the Lune, check out its Goodreads page. Or, if you’d like to connect with (me!) the author, hit me up on twitter (@madelineclaire_), visit my website, or check out my tumblr blog. She currently resides in Buffalo, NY, with her husband and their three cats: Luke, Leto, and Lando. The Poppet and the Lune is her first novel. Here’s an intriguing thing, and while it doesn’t sound like Horror at all, I think the idea of finding yourself in the underworld as a bit of Halloween cache. Author Sarah Diemer sent me this post about her YA novel, The Dark Wife. Let’s check it out. Persephone has everything a daughter of Zeus could want–except for freedom. She lives on the green earth with her mother, Demeter, growing up beneath the ever-watchful eyes of the gods and goddesses on Mount Olympus. 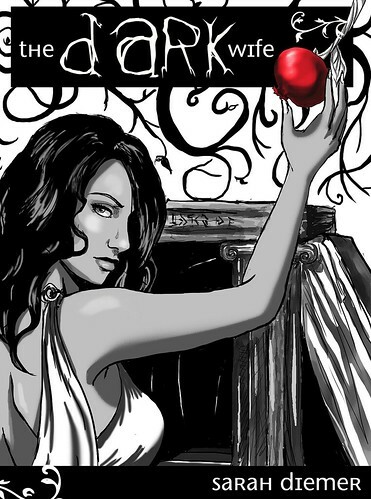 But when Persephone meets the enigmatic Hades, she experiences something new: choice. – You can watch the book trailer for The Dark Wife here. Sarah Diemer is an indie author and storyteller who writes about courageous young ladies who love other ladies. She also makes jewelry out of words and wire and randomly sparkles. You can think what you want about book trailers. Some people REALLY don’t like them. Which I don’t get. If you don’t like them, at least be happy they’re generally voluntary sorts of things. Unlike flash websites and auto-play music files, you actually have to click play to watch a book trailer. So it’s easy to opt out and move on. I’m not good a making movies, but I like it and I’ve done some movie making for fun. It’s the kind of fluffy yet picky project I can get nicely obsessed with. One concept that’s new to me that I LOVE is the idea of a fan trailer. Of course my favorite fan film of all time is not exactly a trailer. It’s more…awesome. …and then Buffy staked Edward. The End. I could totally see myself getting into this if I were younger, savvier, and had fewer demands on my time. I’d been thinking about trailers a lot lately. Making, or having made, a trailer for Hush Money was on my list of things I was putting off until after Heroes ‘Til Curfew was finished and released. Not only was it about not doing another project until that was done, but it was also about selling a few copies of a $2.99 books so I could afford to do a trailer in whatever way I decided to do it. Zoe Winters was the first to get me thinking about it this week. She’s running a contest at her blog, and her most excellent trailer appears in the post. So what do you think? Want to go out and make fan trailers? Have awesome book movies to share?